Novacura has helped businesses all over the world to extend the capabilities of IFS Applications with Novacura Flow. Here's your chance to see it in action, and find out how it can work for your business too. Download the recorded webinar and find out why Novacura was named IFS Channel Partner of the Year in 2017. 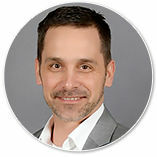 Jansen Davidson is the Director of Sales and Services at Novacura North America. He has been helping businesses get the most out of their software solutions for the past 14 years.